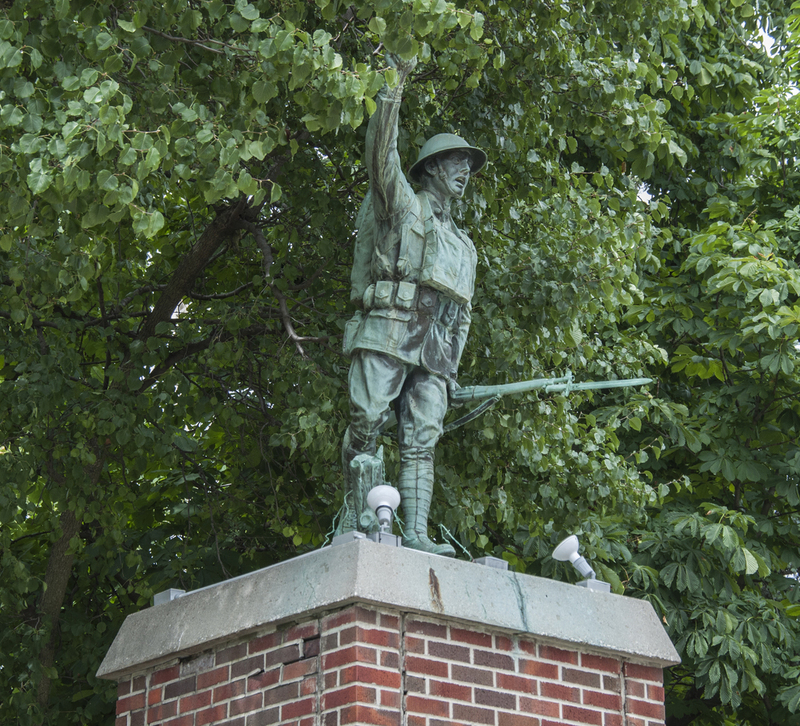 This E. M. Viquesney Doughboy was erected in Woodville in 1927 to commemorate the fallen American servicemen of World War I. 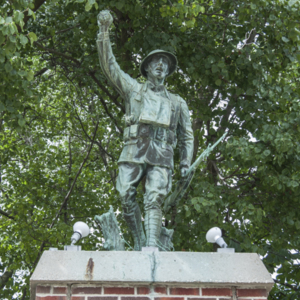 The pressed copper Doughboy looks to be in a forward stride motion with a rifle carried low in his proper left hand while he reaches high holding a grenade in his proper right hand. 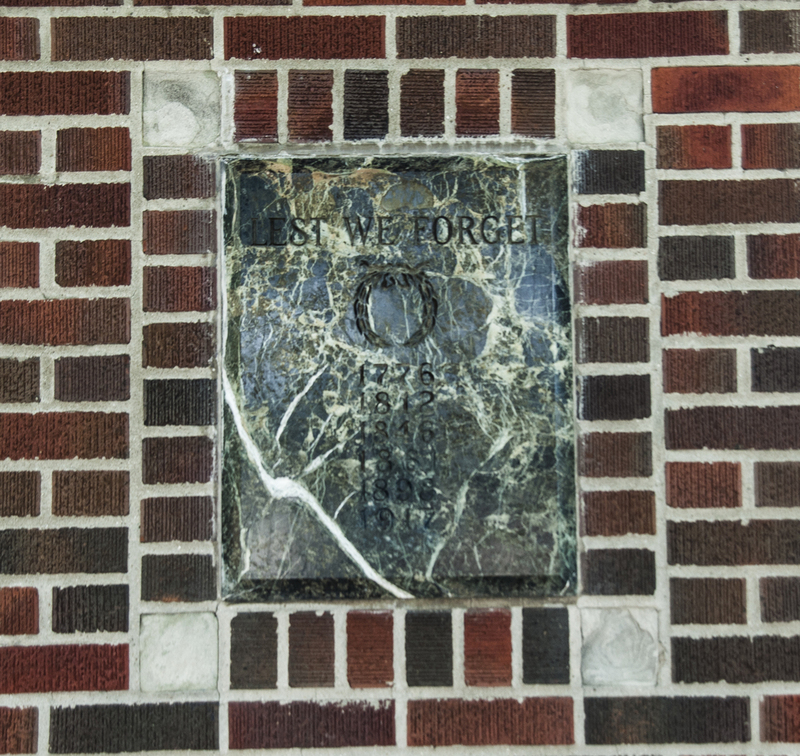 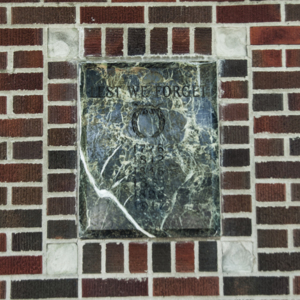 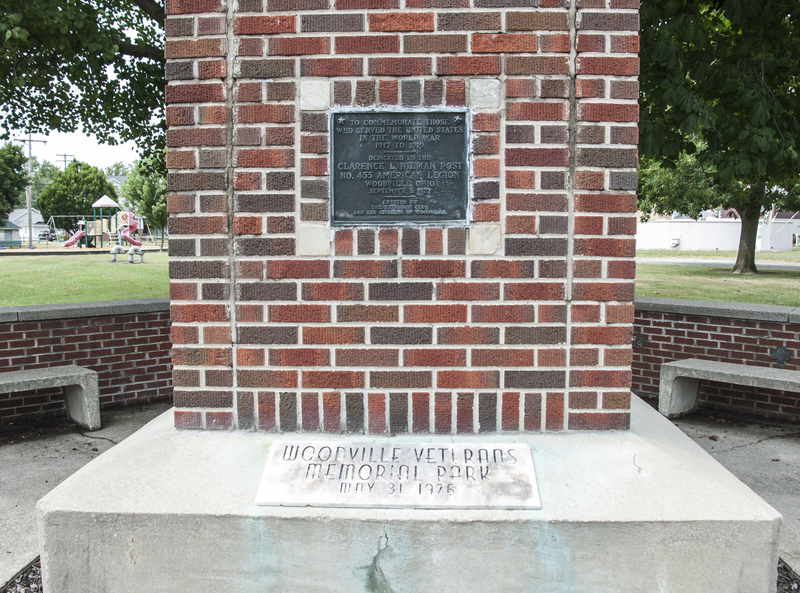 While the plaque shows September 5, 1927, the monument was not formally dedicated until October 16, 1927. 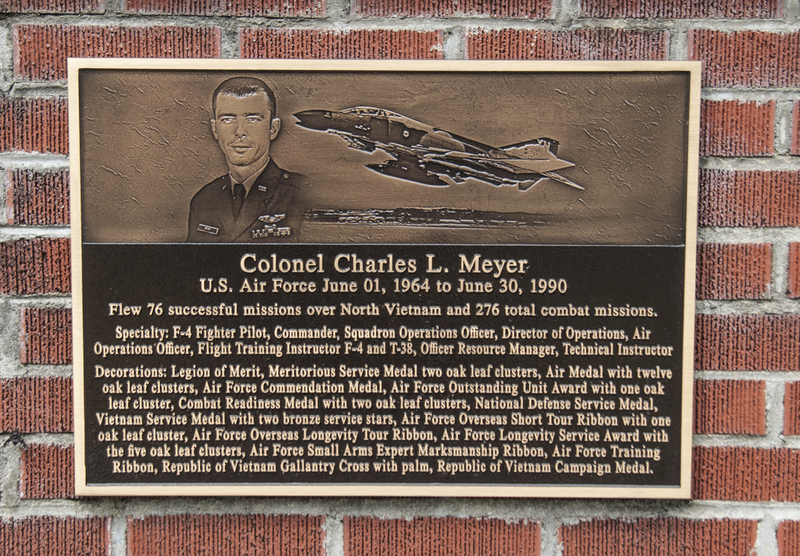 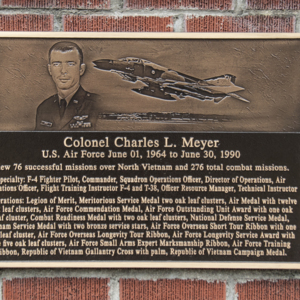 Flew 76 successful missions over North Vietnam and 276 total combat missions. 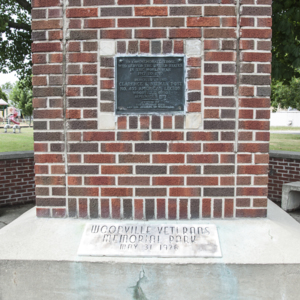 The original brick base was much taller than the current base and it was rebuilt under the direction of the Junior League of Woodville. 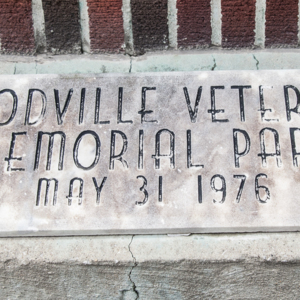 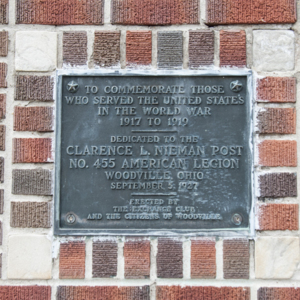 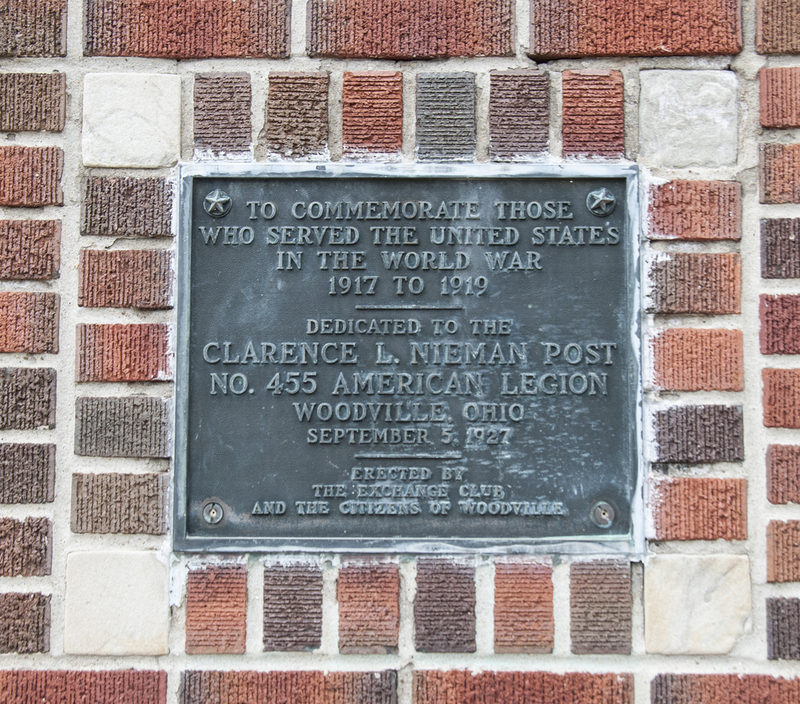 A plaque on the front ledge of the new base recognizes that the sculpture and park was re-dedicated on May 31, 1971, which is when the park was renamed from Waterworks Park to Veterans' Park. 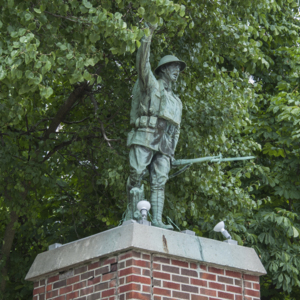 The Doughboy’s left hand once broke off and was reattached in about 1983, which may have been the last time any preservative/ restorative measures were taken. 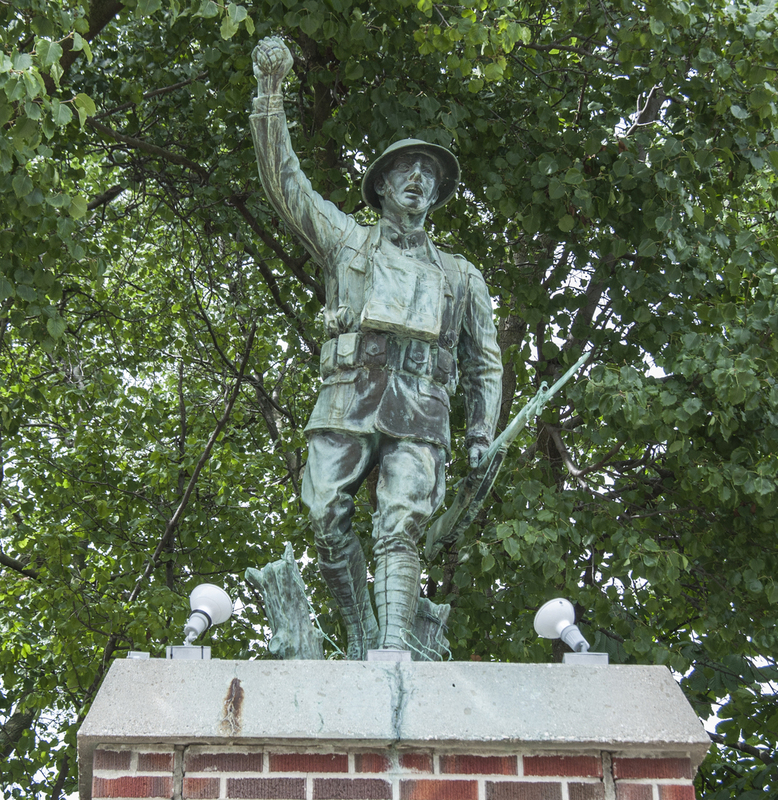 The sculpture is covered in dripping tarnish and is in general bad condition. 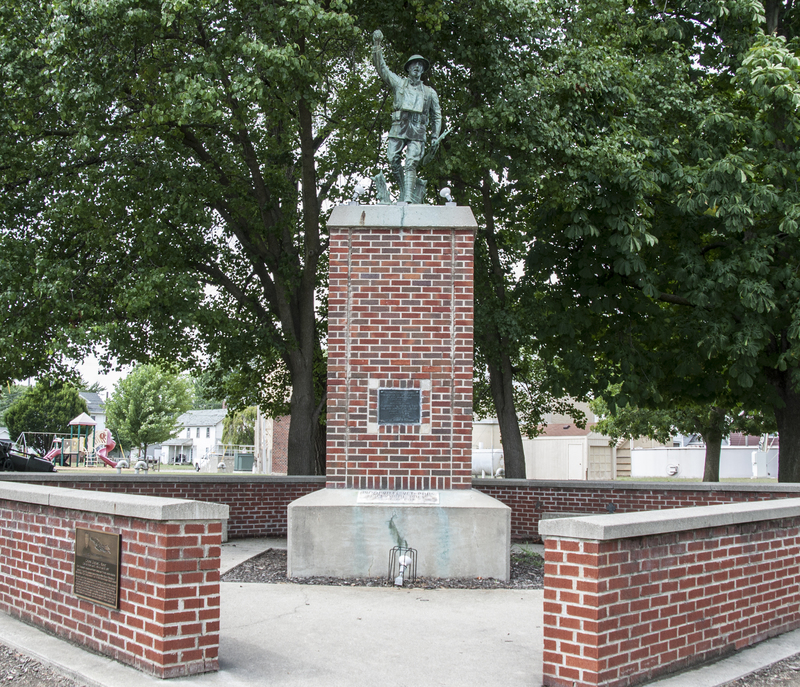 : E. M. Viquesney, “Spirit of the American Doughboy,” Ohio Outdoor Sculpture Inventory, accessed April 18, 2019, http://oosi.sculpturecenter.org/items/show/1547.